The Mosaic Loft borders' designs add decorative elegance to any setting. The mosaics flow seamlessly around a room to affordably add interest and style. Use to add a splash of elegance or to add a finishing touch to a field of monochromatic tiles. 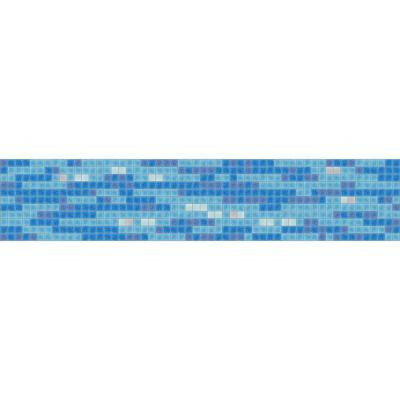 The borders are a derivative from the Mosaic Loft repeating patterns. When used together, the two create a fully integrated and highly stylized environment. Water is a classical symbol of purification that evokes feelings of tranquility and relaxation. Tidal was designed to evoke such sentiments through its calm, rippling pattern. The calculated distribution of metallic tiles creates a lively shimmer on the water’s surface, bringing spirit to the mosaic. You can buy this product in our internet market. We will be glad if you make the right choice.